Bakers Cottage in Hoxne, near Eye sleeps 5 people. 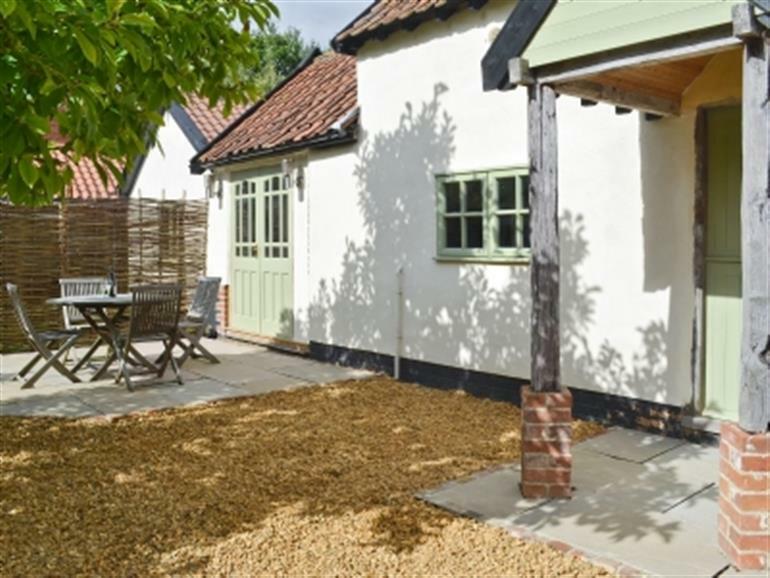 Bakers Cottage in Hoxne is set in the peaceful village of Hoxne in the Waveney Valley, close to the owner’s home, this detached period cottage boasts a fully enclosed rear garden, perfect for al fresco dining. Full of character, the large living room and kitchen have a wealth of exposed beams and a wood burner, as well as an original bread oven. The dining room has French doors opening onto the garden and there is also a second living room with cinema sound surround. 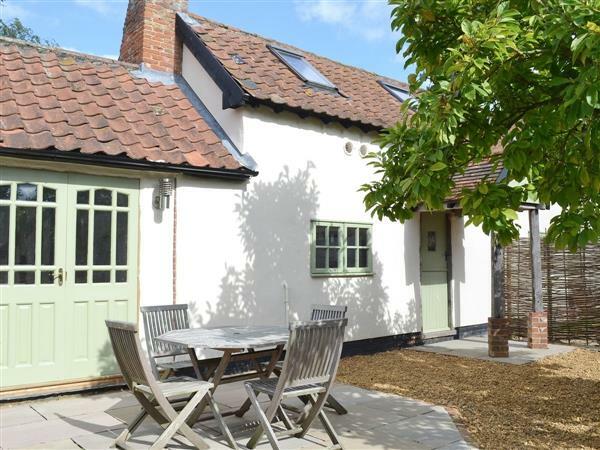 The cottage is equidistant between the market towns of Diss and Eye, and is conveniently situated to explore both the Suffolk and Norfolk countryside and coastline, with many picturesque market towns and villages nearby to visit. Within easy reach of the Heritage Coast, visitors to Bakers Cottage can enjoy the seaside towns of Aldeburgh, Southwold and Walberswick, or visit Beccles for the Norfolk Broads. This property is an excellent holiday retreat for walkers, birdwatchers and cyclists, with golf and fishing also nearby. For bird watchers, the RSPB nature reserve at Minsmere is a must. Shop, pub and restaurant 1½ miles from Bakers Cottage in Hoxne. Ground floor: Living room with beams and laminate floor. Dining room with beams, French doors and tiled floor. Kitchen with beams and brick floor. Bathroom with shower over bath and toilet. Steep stairs to first floor: 2 double bedrooms, both with sloping ceiling. Wood burner in kitchen (initial fuel included). Oil central heating, electricity, bed linen and towels included. Freeview TV. DVD. iPod dock. Cinema system. Electric cooker. Shared washing machine and tumble dryer in owner’s utility room. Dishwasher. Fridge/freezer. Wi-Fi. Enclosed garden with sitting-out area and furniture. Access to large lawned garden. Barbecue. Parking (2 cars) Cycle store. Welcome pack. Pets free of charge. No smoking. Holidays at Bakers Cottage in Hoxne run from Holidays run from Friday to Friday. NB: Low ceilings in living room and kitchen. Low doors throughout. For a better idea of where Bakers Cottage is, you can see Bakers Cottage on the map below. Bakers Cottage is in Suffolk; should you be on the lookout for a special offer, you can find all the special offers in Suffolk. It's always worth checking to see what is on offer at the moment. Do you want to holiday near Bakers Cottage (30001), you can see other cottages within 25 miles of Bakers Cottage; have a look to find your perfect holiday location.